Proprietor: Mark Paterson. Offers Bonsai trees, Bonsai workshops, pre-bonsai and carefully selected unworked stock. By appointment only please. Anton Nijhuis Bonsai & Landscaping Anton is a horticulturist and yamadori collector on Vancouver Island specializing in Shore Pine (Pinus contorta contorta) and Mountain Hemlock (Tsuga mertensiana). Some very fine trees here that are the very definition of ‘West Coast yamadori’ and are of exceptional quality. Anton has an informative blog and species specific information unique to his long experience with West Coast species. Extracted from the website http://www.riversedgebonsai.ca “Rivers Edge Bonsai is committed to excellence in the development of Bonsai. The venture began with Frank’s introduction to Bonsai by his son Ross in 2008. Since then, the journey has involved intensive workshop studies with Boon Manakitivipart, Michael Hagedorn, and workshops with other professionals. Looking over Frank’s site it becomes obvious that this is a unique and much welcomed specialty nursery for people serious about any aspect of bonsai culture. Russell Nursery 1370 Wain Rd. North Sannich Tel: 250-656-0384 russellnursery.com Proprietor: Brian Russell. In addition to the much awaited arrival of often rare and hard to find bonsai-amenable species in the spring, Russell Nursery carries an excellent selection of shrubs and trees that may show promise as future bonsai. Tel: 250-658-8812 This popular nursery carries an extensive selection of hard to find trees in 4″, 6″ and 1 gallon pots that are well-suited to shohin and mame bonsai. Lots of plants with Kusomono potential. Many of the trees would be very attractive inclusions in a Penjing-style landscape. A professional bonsai consultant and teacher. Contact him by phone or e-mail for further information. We are a Canadian retailer in the province of Quebec. We ship tools, pots, fertilizers, bonsai soil all over Canada. The store is located in Shawinigan-Sud in the province of Quebec , offers a wide variety of bonsai, pre-bonsai and a full range of pottery, tools, bonsai soils and wires of various calibers imported from Japan. Bonsai Northwest 5021 South 144th St. Seattle, WA. 98168 Tel: 206/242-8244 Website: www.bonsainw.com Everything in the bonsai line including finished trees, starter bonsai, pots, tools, and wire. Lessons available. How to get there: From the north follow I-5 to exit 154B turning right on Southcenter Blvd. Turn right on 52nd Ave. then a right again on 51st Ave. follow this to 144th St.
Elandan Gardens Gorst (near Bremerton) WA. Tel: 360/373-8260 Proprietors: Dan and Diane Robinson. An eclectic oceanfront garden full of ponds, rocky hummocks, snags, collected forest trees along with Dan’s collection of ancient bonsai. An integral part of the scene is Diane’s imaginative gift shop. Bonsai Tonight is the website of bonsai teacher and writer Jonas Dupuich. What can you find here? 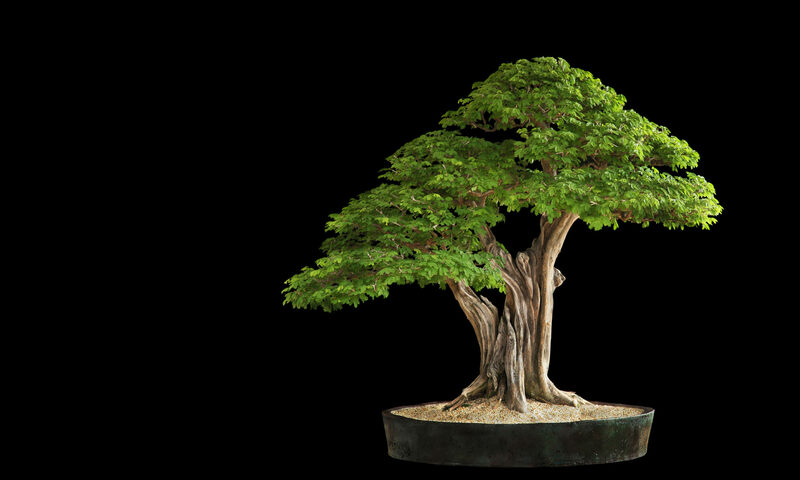 A blog, an online store, and information for bonsai enthusiasts of all levels.